What a great area we live in, and yep, we have some fantastic fishing going on. It’s mostly stripers and trout here along the Colorado River below the Davis Dam. The Willow Beach Fish Hatchery has been stocking some nice rainbows. Our local angler Jerry Ward is showing us an example of a limit of trout he landed in the Rotary Park area. 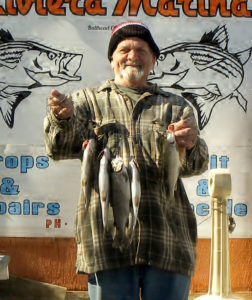 Jerry was fishing from shore using one of his favorite spinners to land these trout. I heard that PowerBait and nightcrawlers were also producing limits: which is 5. Another couple of great spots for you trout anglers is our Community Park and the stocking site at Davis Camp. 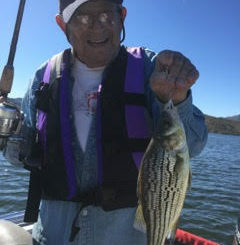 Up on Lake Mohave the striper bite is picking up. I heard last that telephone cove was doing ok. On the lake you might have to move around a bit to find out where the fish are feeding. There have been a lot of shad schools that the striper and various birds have been feeding on. No word on the largemouth bass or smallmouth on the lake for this time of year. 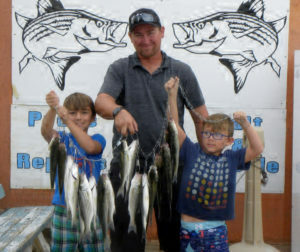 Below the Davis Dam we are getting some great striper bites our local anglers John Mynk and his sons Evan (9) and Russell (8) were able to bring their limit of stripers in to share in their success. And grinning from ear to ear holding them up high pretty neat. They were fishing from a friend’s boat using anchovies in the upper big bend area. Hope this helps for now, and we will see you in soon to share your catch. Thanks for all of your support. 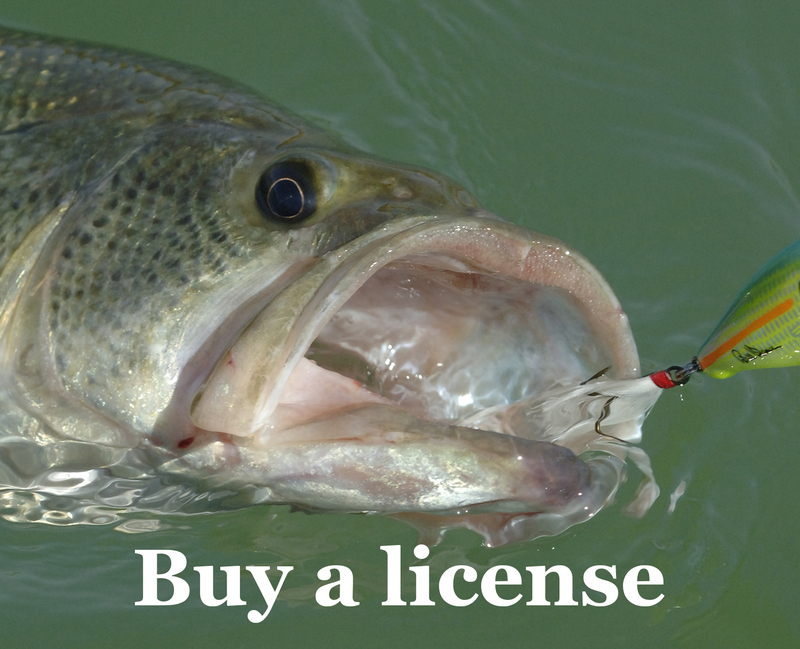 Now Go Catch A Fish.